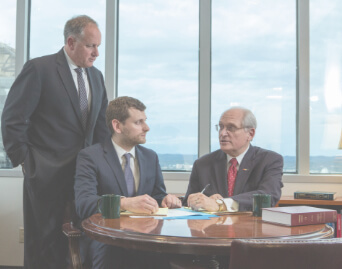 Attorneys | Raybin & Weissman, P.C. Our lawyers possess the experience and expertise you want on your side when you’re facing a legal issue. We are honest, dedicated and approachable professionals you can trust with your case. Each of our lawyers has first-rate academic, professional and public service credentials. And, our attorneys have a tireless devotion to getting you results. We fight to protect the quality of life for you and your loved ones by providing highly personalized service and an unwavering commitment to excellence.